The Bridge Community is a non-denominational Christian church in South Davis County, UT. We have a relaxed atmosphere, and a serious focus on Jesus. As a church, we are creating a place in South Davis County where followers of Jesus can stand together with those dissatisfied with life as they know it apart from the truth of the gospel. We invite people to come as they are, and to take the next step toward Jesus . We desperately desire to see Davis County live out a passion for Christ by becoming a community where followers of Jesus: Reach, Teach, Grow and Go. Loren grew up in the Central Valley of California (Fresno). He put some pucks in the goal, cheered for the Bulldogs (Go Dogs), and gave his heart to the Lord. Following high school, the Lord sent Loren to Chapman University in the OC (Orange County). During his time at college he grew in his walk with the Lord, learned lots of stuff, and met the most amazing woman in the whole world. Carrie is a wonderful lover of the Lord Jesus, and made Loren the happiest guy on the planet when she accepted his proposal for marriage. After getting hitched and graduating from seminary (Loren has much love for the PTS years), Loren was blessed with an opportunity to serve as the college pastor at New Covenant Community Church. It was during those 5 1/2 years as college pastor that the Lord blessed Carrie and Loren with two adorable children. The Pankratz family moved to Utah in 2010. Loren earned a doctorate from Talbot School of Theology in 2012. Alongside his responsibilities as pastor of The Bridge Community, Loren has been employed as an adjunct instructor at a local college where he has taught ethics, philosophy, and logic. You may email Loren here. The Pastor may also be reached at (801) 941-0656. Marshall is a gifted musician who has a HUGE heart for helping people find Jesus and follow Him fully. Asside from leading worship on Sundays, he has worked as a personal trainer, and a boxing and martial arts instructor. You may email Marshall here. 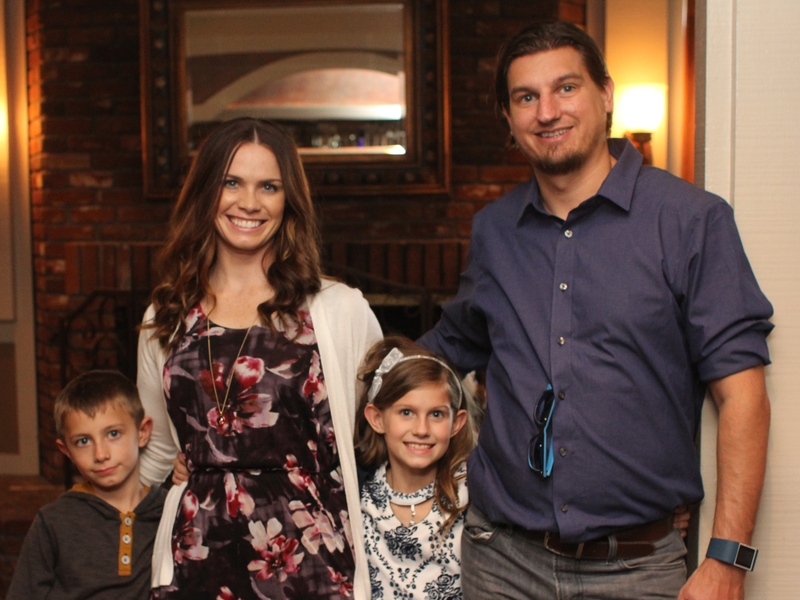 Brent and his family moved to serve The Bridge Community in 2012. They have a passion for helping families lay a solid foundation of faith for their children. Brent has been a teacher's aide, teacher, assistant principal, and executive director of a charter school. He has finally been able to apply his true passions by working full time as the Children's Director here at the Bridge Community. You may email Brent here. XMission is a Utah company that is committed to helping local non-profit organizations like us. We are grateful for their donated services and are extremely pleased with their service! The Bridge Community is a non-denominational church affiliated with Converge Rocky Mountain (part of Converge Worldwide). Converge is a strategic network of churches focused on transforming lives and communities with the hope of the gospel. As a movement of churches, we believe planting new churches is the most effective evangelism strategy. All Converge congregations share a common core of doctrine that unites Christians across the world and throughout history. For a more extensive statement of our beliefs click HERE. We at the Bridge Community are delighted to serve Christ in Centerville, Utah, and we are excited to see the Lord glorified as His kingdom grows here.